LG is not that popular brand in Mobile but their flagship device is quite good. Last year G2 was mind-blowing and don’t forget that LG made Nexus 5. They’ve enough experience on Smartphone. This year in flagship category, LG has come with LG G3 to compete against Samsung Galaxy S5, Note 4, HTC One M8, Sony Xperia Z3 and Apple iPhone 6. 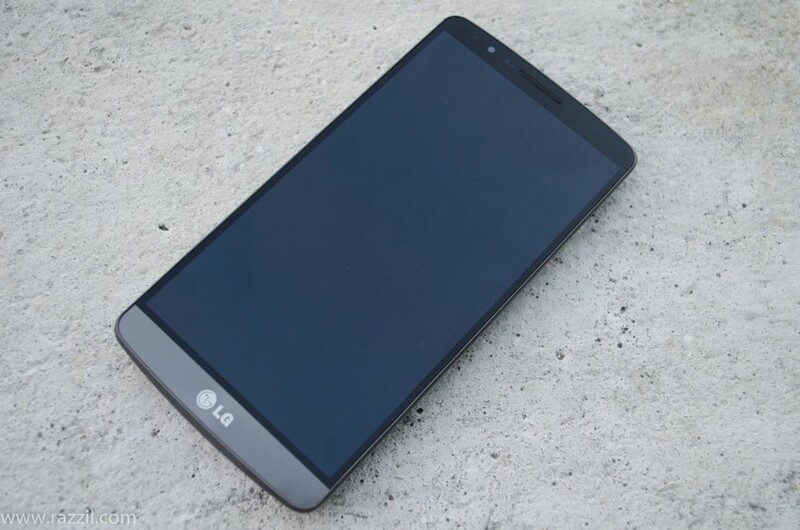 LG G3 has 5.5-inch Quad HD IPS display with 538 ppi and 2560 x 1440 resolution, 2.5 GHz Qualcomm Snapdragon 801, 13 MP Rear camera and 2.1 MP front camera. Clearly, with specs wise, the phone has monster specs and even with design wise phone has premium feel. 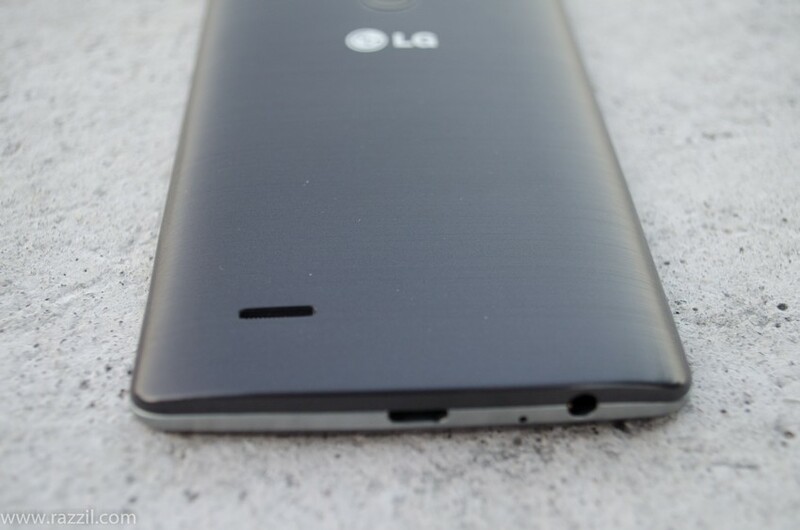 LG G3 is not a metallic device, but plastic back gives you feel like metal. 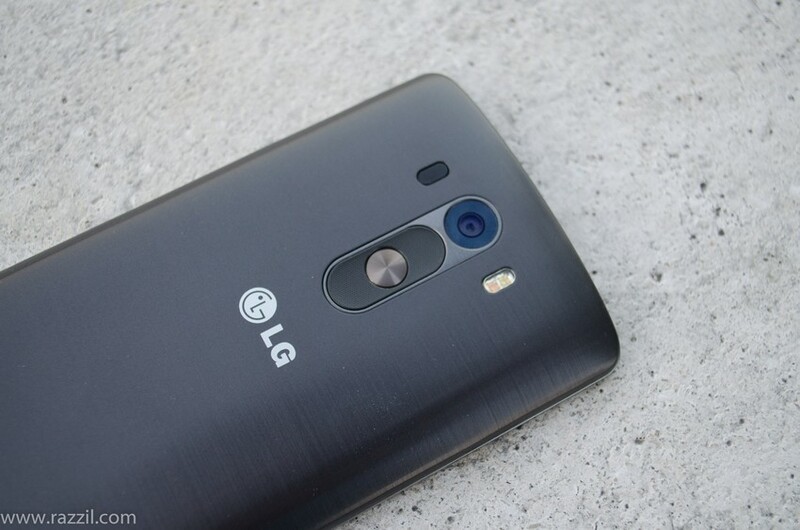 On back, you’ll find rear camera with Laser and LED Flash, LG logo and rear button keys with Power and Volume button. Yes volume and power button are on the back side. You’ll feel awkward, but it’s very comfortable to use. On front, you’ll find, Quad HD display, front facing camera and speaker on top. The phone has a very slim bezel that phone doesn’t feel too much big and it actually looks better than any other phone. Other manufactures should learn from LG how to build a phone with slim bezels. 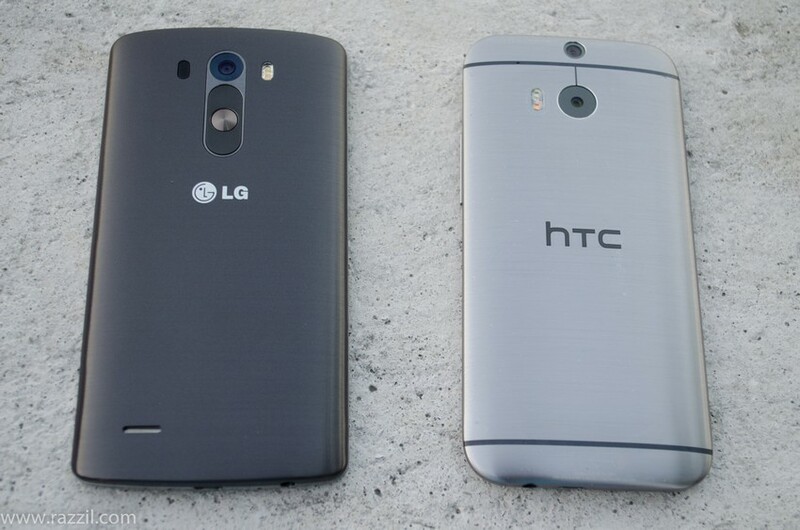 The LG G3 is just 8.9mm slim and 149g in weight. The phone is no doubt is the best phone in terms of design. The phone is big and difficult to use with one hand. The LG G3 is very powerful device and comes with 2.5GHz Qualcomm Snapdragon Quad-core processor mated with 2GB of RAM and 16 GB of RAM. Another variant is also available which comes with 3GB of RAM and 32GB of Internal Storage. The specs is enough to handle any task or games that are available in Android. Even with that much fire power, you won’t find that smoothness in the phone. We’ll talk about this later in software section. Big Power comes with Big Heating problem and with heavy usage the phone overheat specially when recording 4K videos and playing multiple games. I always thought when we’ll stop in display department. First HD, Full HD, Quad HD etc. The LG G3 has Quad HD LCD display with 2560 x 1440 resolution with 534 ppi. In first glance, you’ll really love the display. But again do we really need Quad HD display, I didn’t any difference when comparing it with Full HD display. One more thing, not all apps are optimized for high-end display so full use of the display will only noticeable when you watch HQ movie or playing HD games. Just like other manufacturer, LG G3 comes with its own UI skin built on top of Android. 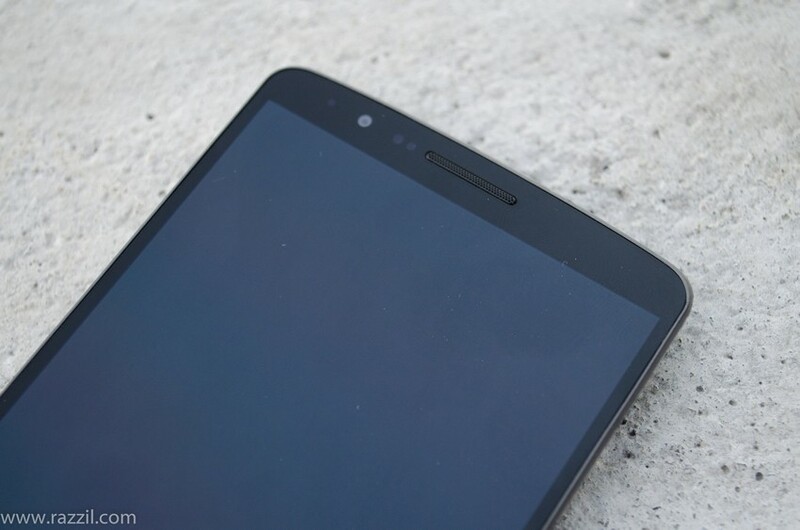 The G3 runs on Android 4.4.4 KitKat with LG UI on top. LG G3 has a clean UI with some features like Multi Window, Smart Notice, Knock Code, Software Diet, Smart Keyboard etc. Home screen looks similar we found in Google Now launcher, the only difference is swiping left will take you to the LG Health page. Dual Window works well, but not good as Samsung TouchWiz UI. 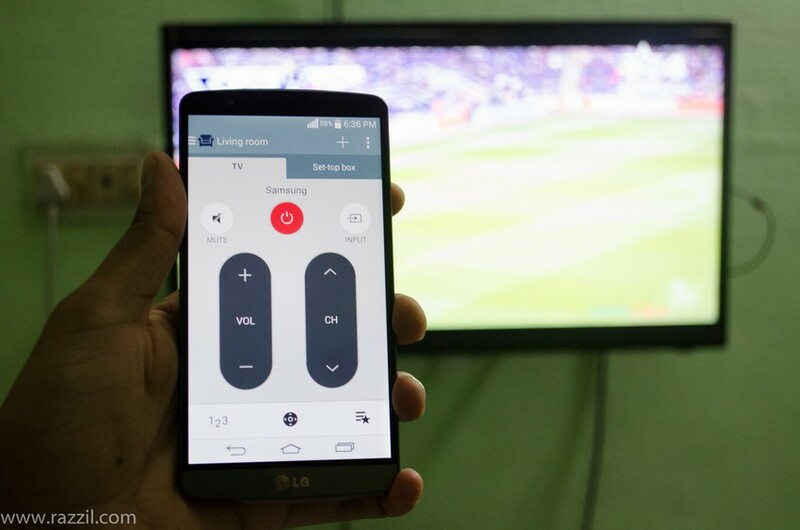 The phone also comes with Remote app which you can configure to use your TV or AC. I still prefer HTC Sense TV app, much better in all aspects. Overall, the UI is light and if you’re happy with icons then you can customize it. But here comes the bad part, As we know LG G3 packs with some powerful CPU, but still G3 UI will give you hiccups. 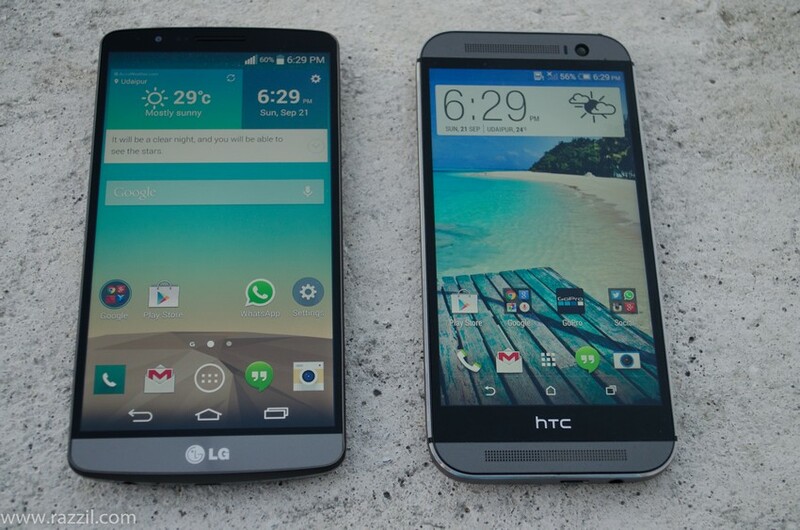 It’s not polished UI like we seen in HTC One M8, Nexus and Moto devices. The last build I used have been full of bugs, animations are not smooth, apps crash and even ART won’t improve the things. Infect, using Chromecast with ART will hang your device. Smart Notice works OK, but not that revolutionary. For me, Google Now is still my favorite context aware app. Still, you’ll love Call log based reminder and smart cleaning notification. Knock Code is probably working much better than the traditional pattern security system, Infect I prefer it over the Galaxy S5 fingerprint sensor. It’s fast, secure and accurate. 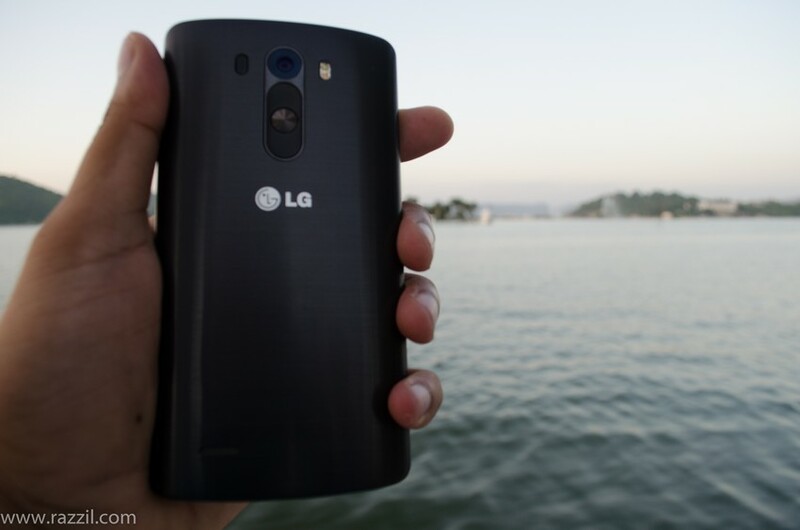 LG G3 is equipped with 13MP rear and 2.1 MP front camera. The Rear Camera is mated with OIS+ and Laser Auto Focus. The Laser Auto Focus works with OIS to give you perfect clear photos and it also increases the focus on the subject. The G3 camera performance is great in both day light and low light. In daylight, the phone produces good colors and HDR+ mode is fantastic. It’ll automatically sense when to switch ON HDR mode. 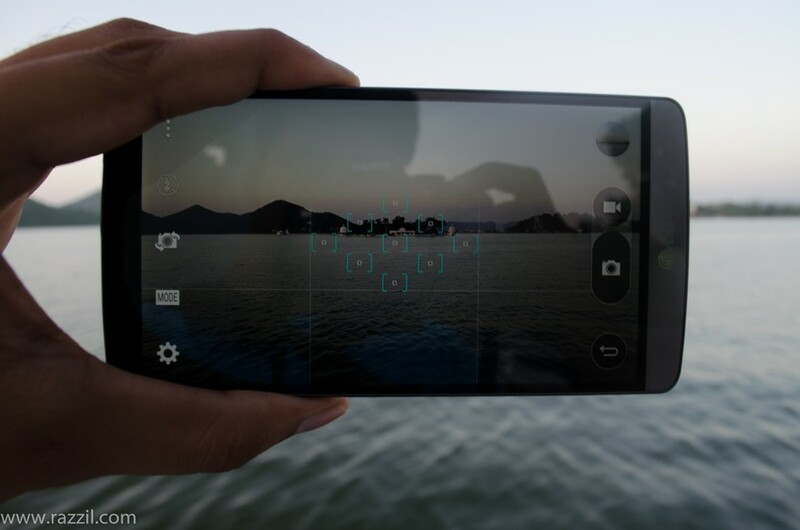 In low light, G3 camera performance is exceptional and produce very neat results without flash. The camera also has Dual LED flash, with the help of BSI Back Side Illuminated sensor, the flash produced less blurry and much brighter pictures. If we talk bout camera app UI, the phone minimal UI. No unnecessary icons on-screen will allow you to focus on the subject. The camera app has all basic settings that user need, but if you’re Pro then I suggest you to try alternative app. The LG is promoting front camera as a selfie camera and they also added hand gesture which triggers the shutter. The front also equipped with a large sensor, low light aperture and a built-in Beauty mode slider which helps you to get clearer selfie. The G3 also capable to record 4K video, but I don’t think you’ll going to use it much. First 4K need more memory and also phone gets heat up while recording 4K video. The LG G3 has a removable 3000 mAh battery which in first sight looks sufficient but don’t forget the G3 packs with Quad True HD IPS display which of course need more power to illuminate. The G3 also has a battery saving mode, which lets you choose what feature you wish to disable. For average use, the phone will take you to 12-14 hours with one charge. 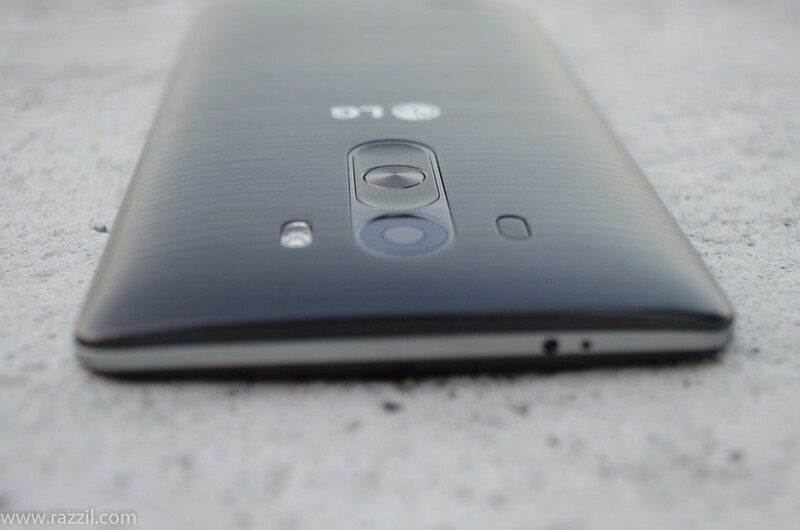 LG G3 is a great device in terms of design, hardware, display and camera. The only part where the phone lag is Software department. They really need to look into all those bugs. I’m hopeful that they’ll rectify this in an upcoming OTA update. Price point is another department where LG has to look into. 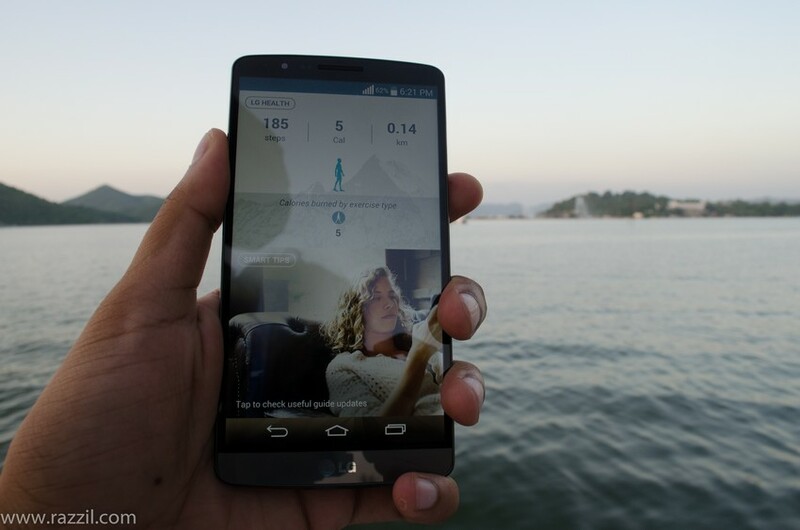 LG G3 is a great device in terms of design, hardware, display and camera. The only part where the phone lag is Software department. They really need to look into all those bugs.